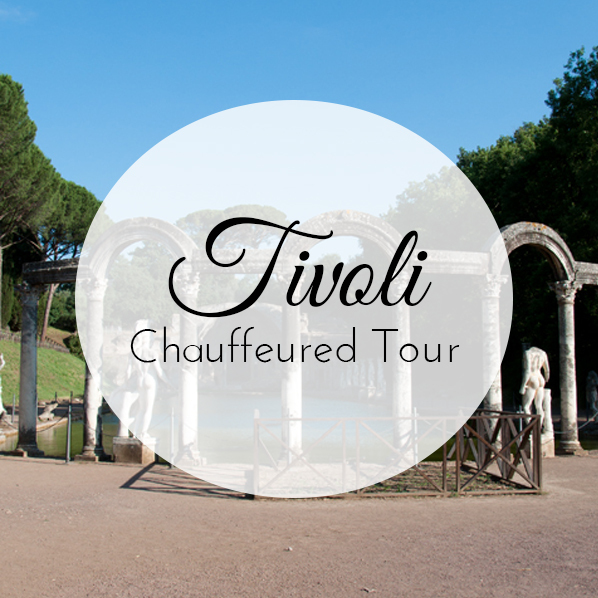 In this chauffeured tour we'll spend a day visiting the Hadrian's Villa and Villa d'Este in Tivoli. In the 2nd century AD, the Roman Emperor Hadrian built a wonderful Villa and he spent years here, when not travelling around the Empire. We'll see ancient domes, baths, mosaics and the Maritime Theater (his private retreat). After a nice lunch in a panoramic restaurant in the old town of Tivoli, we'll be ready for the visit of Villa d'Este. The Villa was built for the Cardinal Ippolito d'Este (Governor of Tivoli from 1550) and is famous for its terraced Gardens. Walking up and down ramps and stairways you admire the gardens and its five hundred jets in fountains, pools and waterfalls. meeting point: at your hotel with the guide and the driver. Timing might vary according to the traffic and the villas' schedule. - Private driver at your service for the entire day. Pick up and drop off at your hotel. - If not interested in both villas, send me a message. We can do a morning tour in one site only. - there is a local bus from Ponte Mammolo (line B) that reach the Hadrian Villa. - there is a local train from Rome, but the villa is 1 km far by foot from the station. - Presence of ramps and long staircases. Floors are bumpy and uneven. It's a very tiring tour if you have bad knees or hips too. - RAIN POLICY: This tour is provided even in case of rain. We'll use umbrellas and raincoats. Tour is totally outdoor. In case of heavy showers we can choose to reschedule the tour or change the itinerary. Admission tickets are not included. It's 10€ for the archaeological site "Hadrian's Villa" and 10€ for Villa Este. Extra fees are possible in case of temporary exhibitions.